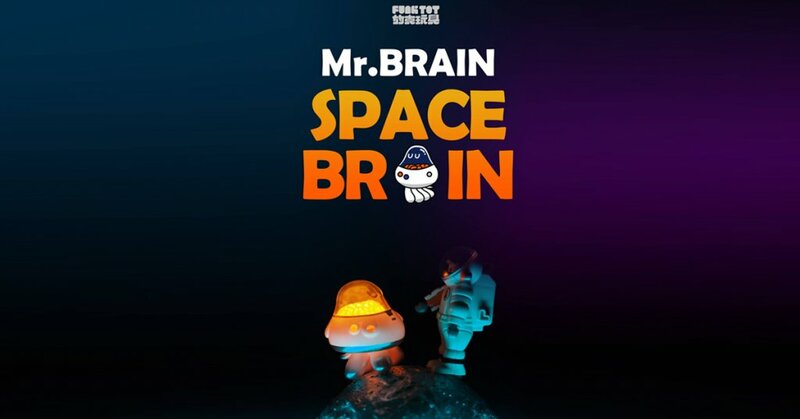 Sending you to outta space as 放克玩具 FUNKTOY’s Mr.BRAIN returns with SPACE BRAIN First squad Orange Brain GID edition. FUELED by GLOW IN THE DARK power jellyfish turned into space explored! Eat that NASA, HA. Wearing a silver-and-White Spacesuit, active orange warm light as a basic unit of space brain glows brightly under the night.